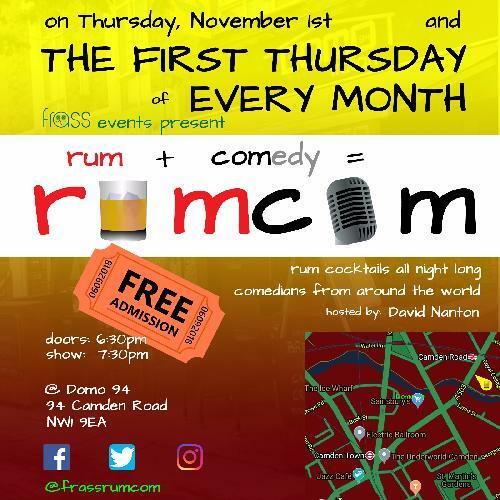 An increasingly popular comedy night in Camden Town, Rum-Com is an evening of comedy and rum cocktails on the 1st Thursday of every month. Offers amateur, up-and-coming comedians the opportunity to perform in front of a friendly audience. Please upload a video or link for consideration.